The current Kent Federation of Horticultural Societies (K.F.H.S.) was founded on the 9th December 1938 in Ashford. The aim of the newly established organisation was to bring together the Kent County Garden Produce Committee – an established organisation with 41 Societies and county-wide membership. The incorporation of the Kent Garden Committee and the Kent Federation, continued to prosper during the War years. This was a time when it was vital that the public helped the war effort by producing their own food. The famous World War II ‘Dig for Victory’ campaign encouraged British people to overcome food shortages by growing their own produce. The movement was so successful that parks and bomb sites were dug up and turned into vegetable patches. By the late 1940s there were an estimated 1.4 million allotment sites in the UK and Kent had an incredible active amateur gardening community. The post war food revolution that brought access to frozen foods, supermarkets and the introduction of mass-produced ready-meals, saw gardeners abandon their allotments. The effect of this meant many councils sold off their pitches during the 80s and 90s because people simply didn’t want to use them. The total number of allotments across Britain today is estimated at around 300,000, a stark contrast to the 1940’s. By 1957 the Kent County Garden Produce Committee had disbanded and the Federation stood alone. The Federation within this time had grown from 41 Societies to over 110. Since then the number has fluctuated from over 200 affiliated societies, to the current level of 187. Presently the affiliated societies have a combined membership of over 18,500 proving that amateur gardening continues to thrive. The other positive news is that allotments are once again sought after, particularly in towns. Another wonderful aspect is the ever-increasing number of new individual members, with many of the established membership taking much needed supporting roles such as Judges and Speakers. These include some well-known celebrities in the world of gardening and horticulture, one of our current judges is a presenter and judge on BBC2’s ‘The Big Allotment Challenge’, Jim Buttress. Jim is one of the UK’s leading gardening experts and was superintendent of the Royal Parks for 25 years. His clients have included Her Majesty the Queen and his old friend the Queen Mother. Although there have been some changes in the way the Federation communicates and interacts with members, such as a website to share ideas and information, the core of the Society remains in its Summer and Autumn Shows. This is where members can showcase their skills and enter a number of different classes. Useful information for the staging of shows and helping to locate suitable equipment are just some examples of the advice that the committee can offer. The K.F.H.S.  in earlier times, had very strong financial support, which included the Kent County Council and other large bodies, but today they have to rely entirely upon membership and generosity of sponsors. The Society are especially grateful for the 77 years of continued and much valued support by the Kent County Agricultural Society, for providing the venue for the show-stopping Summer Show in the Flower Marquee at the Kent County Show. The magnificent display can be viewed in the new larger Marquee and members will be available on all three show days. They look forward to speaking to anyone with an interest in horticulture and gardening and are happy to chat about benefits of joining. The entries every year are of the highest standard and the judges have a difficult job each year to establish the winner in each of the classes. The coveted KCAS CHALLENGE TROPHY is awarded for the Best Exhibit from all of the Horticultural Sections. Class 1 is the Members’ Choice Competition, an open class that includes; potatoes, preserves, vegetables, fruit, flowers, potted plants, a floral arrangement, a baked exhibit and handicrafts. Classes 2 – 20 are for fruits and vegetables, Classes 21 – 38 are sweetpea and rose competitions and finally class 39, 40, 41 and 42 include other flowers and foliage. There are also three decorative classes, eight potted plant competitions and a further eight for Fuchsias and Pelargoniums. Class 60 – Home Cooking can include; a Victoria sponge, five savoury scones, a jar of preserves, cottage loaf, bakewell tart, five cookies or three savoury pasties. The remaining classes for members include preserves and crafts. The Kent Federation of Horticultural Societies also encourage young members to take part. They have two junior classes, the first is for children aged eight and under who need to submit a snake made from plant material and the nine years and over who can enter ‘The Decorated Pot’ Class. The whole area is well worth a visit, the standard is outstanding, the entries inspirational and the stewards and members exceptionally welcoming.